DER and dangerdarrell like this. Goats_Hogs, 2W2X1 and DER like this. FunCycle and ThomaSS like this. 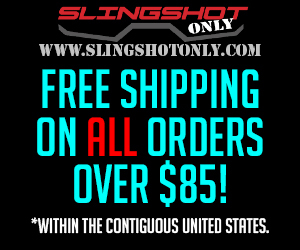 I am going down the path of killing the power to the air ride system to stop parasitic battery drain while the Slingshot is sitting for any length. I have read the WiFi signal is supposed to turn off after 24hrs of inactivity but don't believe this is actually happening with my system. I am still testing the draw from the air ride system to get to the bottom of it all. In the interim, my plan is to install a factory looking rocker switch in the factory location to kill power to the air ride system. Would like to hear from you all on the best place to interrupt power for the system? My plan is to use a stock style lighted switch. The Dorman 85922 20a lighted switch seems to fit the bill. Now I need to figure out what gauge wire is suitable to interrupt the hard wired power for the air ride system. On second thought... How do I get the lighted switch to only light with ignition? Hmmm. Might have to go non illuminated. I would think that the light would be off when not in use and only on when the switch is powered on. Lighted switch will work per research. I don't want to disconnect the entire battery for possible loss of stored data. Which in turn makes me think that each time I re-power the air ride, I will need to re-calibrate the digital sys. Hmmm. This has me reconsidering the whole thing. Mitch RevDynamics can you comment? Hey Joey, Have you measured the draw with an amp meter? Ideally would like a measurement off full air ride and another with just the wifi unplugged. If it is pulling really bad I want to make sure its fixed right. Shouldn't have to put a kill switch on it. You will get a little drain but shouldn't be a lot.